Welcome to Littleloud. Thanks for stopping by. Our BAFTA award-winning creative studio originates meaningful games, experiences and animation for broadcasters, global brands and publishers across multiple platforms. We develop ideas that engage, entertain and occasionally provoke, all glued together by innovative storytelling. 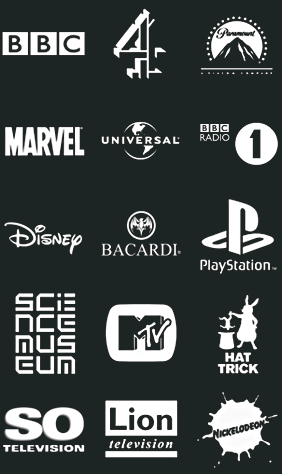 Over the last ten years we have worked with some of the world’s largest companies, connecting with an audience of millions in the process. In doing so we have won BAFTAs, BIMAs and a host of other awards that don’t begin with ‘B’. We aim to entertain and enrich audiences through everything we do. We are creative producers, directors, designers, writers and technologists applying our skills to the constantly evolving field of digital storytelling. Our ideas are executed mixing traditional and digital expertise, from game design and development (including Unity, Flash & iOS), to scriptwriting, concept design, 2D and 3D animation, motion graphics and editing. We also use social media and analytics to help reach and understand our audiences. 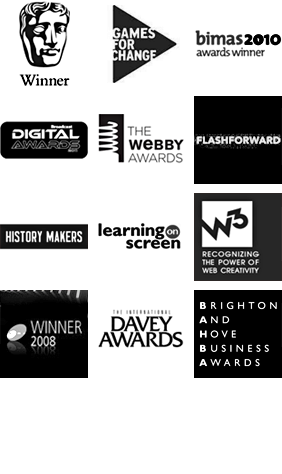 Our projects sit across online, handheld devices, social media and broadcast. David co-founded Littleloud Studios in 2000 after 7 years experience in the media industry as a Producer for AKQA amongst others. Most recently, David has been busy setting up Littleloud’s SE Asia office to service clients in the Pacific region. After several years working in design, games and digital arts, Darren co-founded Littleloud in 2000. As the creative head of the studio he oversees the studio output, getting his hands dirty by directing, designing and occasionally doodling. Responsible for the development of our game strategy, Simon is an established game designer and producer as well as a veteran videogame journalist working for publications such as videogame bible Edge, Gamasutra and The Guardian. Iestyn has worked as a creative technologist in the new media industry for over a decade, specialising in highly interactive entertainment. As a Littleloud veteran he has worked in some capacity on every Littleloud project. Anna has worked in digital entertainment for over 8 years, designing and producing numerous AAA video game titles. She has a passion for coordinating cross-platform, multidisciplinary projects and has worked with many of the major games publishers. Working in the creative media and game industry for over 16 years, Nik specialises in high end 3D, artistic technical direction and animation along with all aspects of film and television production and post-production. Nik manages all things in motion. Kerry is an experienced game and app developer, and heads up our development team. Kerry also creates experimental games, which have been featured in The Guardian, Forbes and Edge.